All good things come to an end, and with Cars 2, Pixar�s 15-year streak as The Perfect Movie Studio finished. From 1995 to 2010, they produced 11 feature films, and each one earned praise from critics and big bucks from audiences. All of that changed in 2011 with Cars 2. At the box office, it raked in $190 million, which seems like a good total but falls short of expectations. For one, it didn�t equal the movie�s $200 million budget, and in addition, it became the second-lowest total ever made by a Pixar flick. Only 1998�s A Bug Life made less, though if we adjust for inflation, it was a bigger hit than Cars 2. We need no adjustments to see how poorly Cars 2 fared with critics. If you look at Rotten Tomatoes, only one prior Pixar movie scored less than 90 percent: the original 2006 Cars got a 74 percent. That�s still a good number, and it looked terrific compared to the dismal 38 percent received by Cars 2. A 38 percent on RT isn�t just weak when compared to the other Pixar flicks; it�s plain and simple bad. I�d love to be able to say that the critics were wrong, and I do feel that way to a degree � Cars 2 is too good to be a 38 percent RT movie. Unfortunately, �to a degree� is as far as I can go. 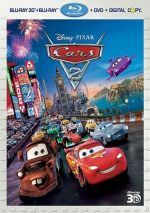 While it delivers some fun, I can�t deny that Cars 2 offers one of Pixar�s less engaging flicks. In a prologue, we meet Finn McMissile (voiced by Michael Caine), a British spy car. He gets a message from fellow secret agent Leland Turbo (Jason Isaacs) that sends McMissile to an obscure ocean location packed with oil derricks. There he observes evil Professor Z�ndapp (Thomas Kretschmann) � and the crushed remains of Turbo � before the baddies notice him. McMissile manages to escape this peril and ends up in Japan to get vital information from an American agent. In the meantime, millionaire businessman Miles Axelrod (Eddie Izzard) launches a new series of races called the World Grand Prix as a showcase for �Allinol�, a new � and allegedly superior � alternate fuel he invented. Stock car hotshot Lightning McQueen (Owen Wilson) initially resists calls for his participation, but he can�t stay away after he endures taunts from Formula racer Francesco Bernoulli (John Turturro) so he enters. 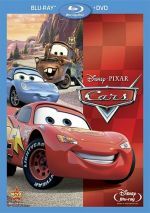 McQueen�s tow truck best pal Mater (Larry the Cable Guy) craves some �buddy time�, so Lightning brings him along to Japan for the first contest. There the various threads intersect, as a case of mistaken identity leads Mater into contact with secret agent Holley Shiftwell (Emily Mortimer). She believes Mater�s the American with whom Finn needs to contact � and unbeknownst to Mater, she�s right, as the real agent (Bruce Campbell) slips the info to the tow truck before Z�ndapp�s men capture him. All of this leads Mater on an adventure as he becomes a de facto secret agent. I know the original Cars got a lot of criticism, but I didn�t agree. I thought it was a blast when I saw it theatrically, and while I�ll admit it hasn�t played as well on subsequent viewings, it still delivers a good, fun ride. As for Cars 2? Shrug. That�s essentially the reaction the film provokes in me: one of mild entertainment but not much more. Perhaps I�m too hard on the flick because I expect so much from Pixar. As I alluded earlier, I think that was true of a lot of the movie�s critics: the studio�s had such an amazing run of quality that the shock of a �lesser film� like this makes it seem crummier than it is. Make no mistake: Cars 2 isn�t a poor flick. It�s not something I�d view as bad in any particular way, and like I said, that 38 percent on Rotten Tomatoes is an overreaction. On the other hand, I can�t do much to defend Cars 2 as especially good, and some of its problems come from its choice of leading vehicle. When a movie elevates a sidekick to lead role status, it takes a real risk. Most of those �buddy parts� work great in their supporting capacities, but when forced to carry a film, their one-note personalities limit their ability to come to the fore. That�s a definite issue here as the movie tries to take the first flick�s �comic relief� character and focus on him. It�s not a choice that genuinely flops, but I don�t think it works, either. Mater is fun in small doses but not a character who remains enchanting across 106 minutes. I admit that he never becomes as grating as I feared, but he also fails to take charge of the movie in the manner necessary. I suspect that�s why the filmmakers ended up with problem number two: an excessively busy movie. 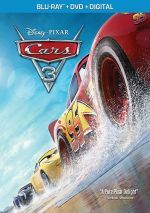 Cars 2 comes with an awfully complicated plot � or 12 � and never integrates them in a terrible coherent manner. The film focuses on the spy story, but it throws in Mater�s character arc, the World Grand Prix, and a few other areas along the way. Most of it adds up to little, and the attempts at fun aren�t enough to excuse the messy storytelling. The complications seem especially problematic given the film�s target audience. While all Pixar flicks work for kids, the Cars flicks appeal to an especially young crowd. Maybe the movie delivers enough flash and pizzazz to ensure they don�t get lost in the morass of a plot, but I suspect much confusion will greet the kiddies. Crud, I�m an adult of (theoretically) decent intelligence, and I thought it was hard to understand this sucker! All of these complaints aside, I do think Cars 2 offers a reasonably enjoyable movie. It�s fun to see the Cars versions of the different international locations, and even with the messy plot, the flick cranks along at a good clip. We get the usual solid voice cast, and all provide nice work. The film does remain a disappointment, though. Cars 2 gives us reasonable entertainment across its 106 minutes, and it never threatens to disenchant us. 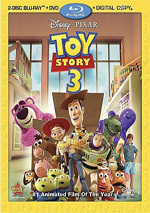 However, �perfectly okay� seems like faint praise for a Pixar flick, so this is an enjoyable flick but not one that lives up to the studio�s standards. Cars 2 appears in an aspect ratio of approximately 2.39:1 on this Blu-Ray Disc. While the film itself disappoints, the Blu-ray doesn�t, as it provides absolutely stunning picture quality. Sharpness consistently appeared immaculate. Even the widest shots demonstrated excellent clarity, as every aspect of Cars 2 looked detailed and distinctive. No issues with jagged edges or shimmering materialized, and I saw no edge haloes or processing concerns. Of course, print flaws weren�t a factor, as they stayed away from this unblemished presentation. With its many international settings, the film boasted a dazzling array of hues. These always looked amazing, as the movie provided consistently full, rich colors. Blacks were deep and dense, while shadows looked clear and appropriately defined. Maybe someone else will find a problem with this transfer, but I couldn�t; this looked like a perfect image to me. Though not quite as impressive, the DTS-HD MA 7.1 soundtrack still soared. It came with a wide variety of sequences that gave us chances for vivid material, and it brought those out in a satisfying way. The movie used race scenes to allow cars to zoom around the room, and other action set pieces threw planes, boats, trains and gunfire at the viewer. All of these combined in a lively manner that used the speakers to immerse us in the film. The mix packed in tons of information and blended it together well. This set includes both the 2D and 3D versions of Cars 2. The comments above reflect the 2D edition � how does the 3D presentation compare? In terms of visual quality, the two compared nicely. If the 3D suffered from any degradation of image fidelity, I didn�t notice it � I thought the picture remained excellent. As for the stereo effects, the 3D Cars 2 largely added dimensionality and depth. A few scenes � such as those in the air or during races � boasted more pep, but this never became a really active 3D presentation. Still, I thought the imaging worked nicely for the film. While I would�ve liked more �wow� moments, I felt the 3D brought out a good sense of the material and became a fun way to view the film. Most of the extras reside on the 2D disc, and the main attraction comes from an audio commentary with directors John Lasseter and Brad Lewis. They provide separate tracks that get edited together to discuss inspirations and development, story and character topics, cast and performances, various animation subjects, cast and performances, set design and visual choices, music, audio, and other issues. I�ve really enjoyed every other commentary in which Lasseter participated, and that continues here. Though Lewis contributes a fair amount of info, Lasseter dominates and adds a great deal of useful material. He�s efficient, prepared, succinct and enjoyable across this commentary. This adds up to a charming and educational chat. We also find two shorts. Hawaiian Vacation (5:50) preceded theatrical screenings of Cars 2 and gives us a new Toy Story adventure. In it, Ken (Michael Keaton) bemoans that he and Barbie (Jodi Benson) didn�t get to accompany their owner Bonnie (Emily Hahn) with them to Hawaii. To compensate, Woody (Tom Hanks), Buzz (Tim Allen) and the other toys throw them a fake tropical vacation. This is a simply delightful short. The 2D disc opens with ads for Brave, Lady and the Tramp, and Planes. These also appear under Sneak Peeks along with promos for the Cars 2 video game, The Muppets, Prep and Landing: Naughty vs. Nice and Secret of the Wings. No trailer for Cars 2 shows up here. Finally, the package includes a DVD Copy of Cars 2. This offers the same disc you�d get at retail. After an unparalleled streak of well-received movies, Pixar comes down to earth with Cars 2. In no way, shape or form does the film flop, but it rarely excels, either. The Blu-ray provides flawless picture and excellent audio but comes with only a few supplements. Cars 2 entertains in an acceptable manner but it remains a pretty average flick, though one that becomes more fun in its 3D incarnation.